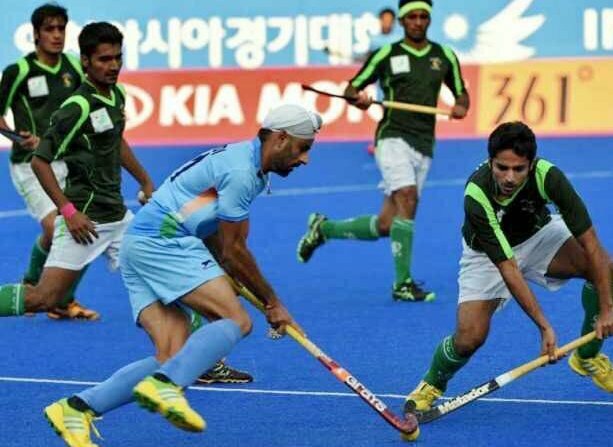 The Indian men’s hockey team continued their winning at the ongoing Hockey Asia Cup 2017 as they defeated Pakistan 3-1 at the Maulana Bhashani National Hockey Stadium in Dhaka on Sunday. For India, Chinglesana, Ramandeep and Harmanpreet got onto the scoresheet while Ali Shaan scored the lone goal for Pakistan in the 49th minute. Despite the result, Pakistan are in the top four along with India from Pool A in the ongoing tournament while India now stands at the top of Pool A with nine points, qualifying for the Super 4. From Pool B, South Korea and Malaysia are in the semi-finals. India had previously defeated Japan (5-1) and hosts Bangladesh (7-0) in the run up their crucial game against the sworn foes.